With ever-more business schools offering the MBA degree worldwide, and online options quickly getting better, there has never been more ways to get an MBA. But business education is an area where brand really matters. Graduates from the top-25 or so elite programs start higher, progress faster, and have much more senior and interesting careers. Whatever the degree costs, those exiting the elite institutions reap many times the investment in their lifetimes. It’s dumb not to aim as high as possible. Of course, everyone else knows this too, which is why MBA admissions at the top level is so competitive. Figures vary with the economic cycle, but on average across the most competitive programs, about six of every seven applications fail. But, here’s the quick and dirty secret: nobody fails at elite business schools. Every year, in every program, everyone graduates­, possibly excluding a handful of extreme cases where a student has had serious adjustment or disciplinary problems and was excluded early. In other words, every candidate who is admitted will graduate because they were admitted. In fact, the better the school’s reputation, the less exams or grades appear to matter. If you were good enough to get in, you’re good enough, period. 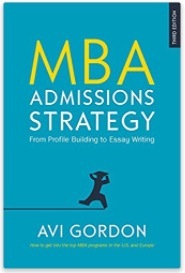 In other words, while MBA degree failure is very unusual, MBA application failure is the norm. What this means is the MBA application is, for all practical purposes, the final exam. Admission is the only real hurdle between the candidate and an elite MBA qualification, and the fast-track career good fortune it commonly represents. Part of business school culture, one quickly learns, is that the MBA is not an “academic” degree. Smart people are required, of course, but you will repeatedly hear how the most intelligent people don’t make the best managers or business leaders. This explains why admissions is often refused to “brainiac” academicians and those with 750+ GMATs, and offered instead to candidates with diverse experience, personality, talent, and drive. Admissions committees (Adcoms) reward dynamic people who have a track record of real-world impact, particularly if they have meaningful plans for the future. 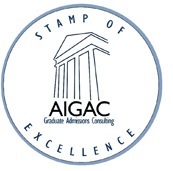 This means that anyone of appropriate age, with respectable undergraduate results and standardized test scores and a good professional record, has a realistic chance of getting into an elite business school, assuming they also have the strategic and competitive understanding of what in their background is valuable for admission and the ability to communicate their case clearly and powerfully. Yes, the top business schools have their pick of Olympic medalists and Senators’ sons, and there’s nothing much you can do about that, but every year many thousands of very ordinary people are accepted too, because they applied well. Which is to say, they found and compellingly communicated the valuable attributes in their background and connected these closely to the needs of business schools and the preferences of admissions officers. Getting in is a little bit about pure intelligence or family luck, and a lot about procedural and organizational smarts. The tools and techniques of admissions matter enormously. You don’t need to be a celebrity. You just need to be credible and to apply well.